مجموعة الشايع، هي شركة عائلية تمارس نشاطها التجاري في عدد كبير من الأسواق المحلية والعالمية، ولديها سجل ثابت من النمو والابتكارات. على مدى 35 عامًا، أثبتت الشايع نفسها كشركة رائدة في إدارة وتشغيل العلامات التجارية، وذلك باستخدام معرفتها وخبرتها الاستثنائية للتوسع في الأسواق المختلفة. تضم مجموعة العلامات التجارية العالمية التي تديرها مجموعة الشايع العلامات الأكثر شعبية مثل ستاربكس، واتش آند ام، ومذركير، ودبنهامز، وأمريكان إيجل آوتفترز، وبي. إف. تشانغز، وذي تشيزكيك فاكتوري، وذي بودي شوب، وماك، وفيكتوريا سيكريت، وبووتس، وبوتري بارن، وكيدزانيا، وقريباً هامبتون من سلسلة فنادق هيلتون. From strategic guidance to supporting the day-to-day needs of managers and employees, the Human Resources Division drives best practice across the Alshaya business. HR is segmented across generalist and specialist functions including HR services, recruitment and talent management. These are just some of the teams that support over 120 nationalities working across multiple brands and geographies. Our continued growth and expansion can only be achieved by recruiting, training and nurturing the best global talent. That’s what we do.rnrnThe Role:rnrnAs a Training Officer, you will deliver 'classroom'-style training courses to store staff, junior/potential management, and staff from local functions by applying a variety of training techniques to present information, promote participative learning and transfer knowledge and skills to learners. Course material will be selected from the overall training program, which includes core induction, customer service, selling, and first-line supervisory / management skills courses. You will work in collaboration with operations and functions management to facilitate other courses and activities, as directed by the Training Manager. This position is also responsible for making all practical arrangements for bookings, equipment, and other necessities required for the delivery of effective training sessions.rnrnQualifications & Requirements:rnrn rnrnThe ideal candidate for the role will possess excellent interpersonal skills that will enable you to work with people at all levels, as well as enabling you to motivate others and change people's attitudes when necessary. You will have good organisational, time-keeping and planning skills that will allow you to effectively manage training schedules and meet deadlines and objectives, and your written and spoken communication skills will allow you to inform and advise others clearly. Lastly, you will be able to demonstrate problem-solving and negotiation skills, and will have a personal commitment to improving your own knowledge and skills.rnrnAbout Us:rnAs a leading international franchise operator, with nearly 90 of the world’s most recognised brands in its portfolio, Alshaya Group brings great shopping, dining, leisure and hospitality experiences to millions of customers across the Middle East & North Africa, Russia, Turkey, Europe and beyond.rnrnAlshaya Group is a dynamic multinational business and family owned enterprise with a consistent record of growth and innovation. 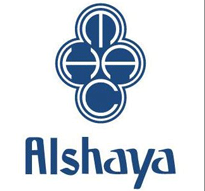 For 35 years, Alshaya has been a pioneering force in brand franchising, using its exceptional knowledge and experience to expand at pace.rnrnOur portfolio of well-loved international brands includes Starbucks, H&M, Mothercare, Debenhams, American Eagle Outfitters, P.F. Chang’s, The Cheesecake Factory, The Body Shop, M.A.C, Victoria’s Secret, Boots, Pottery Barn, KidZania and, coming soon, Hampton by Hilton.rnrnFrom one retail franchise store opened in Kuwait in 1983, Alshaya Group has consistently grown and diversified and today offers customers an unparalleled choice of brands across multiple sectors; Fashion & Footwear, Health & Beauty, Food, Optics, Pharmacy, Home Furnishings, Leisure & Entertainment, and Hotels. A diverse, skilled team of 53,000 people from 120 nationalities support more than 4,000 stores, cafes, restaurants and leisure destinations, a growing online business and a commitment to delivering great customer experiences.